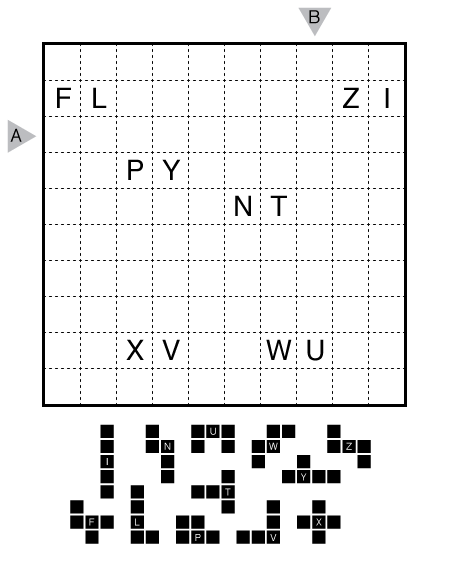 Author/Opus: This is the 254th puzzle from our contributing puzzlemaster Grant Fikes. 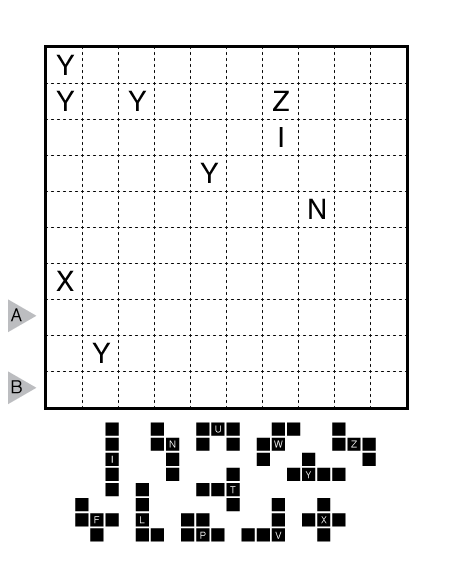 Author/Opus: This is the 305th puzzle from Thomas Snyder, aka Dr. Sudoku. 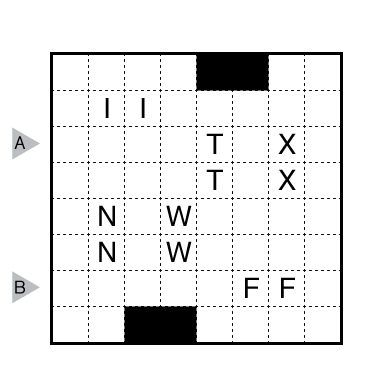 Author/Opus: This is the 63rd puzzle from our contributing puzzlemaster Murat Can Tonta. 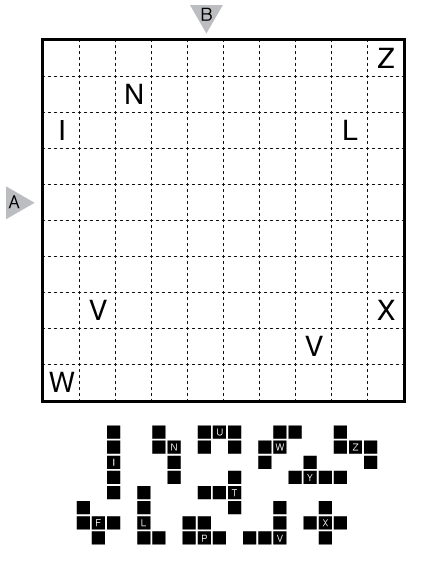 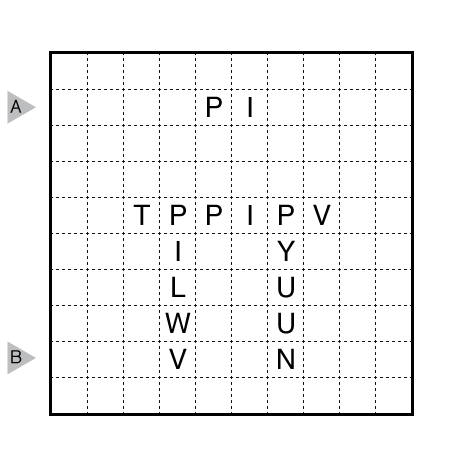 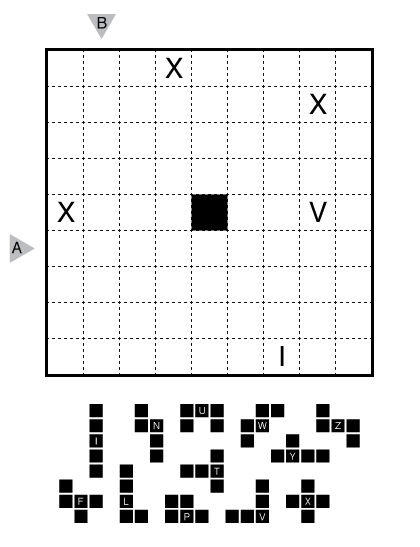 Answer String: Enter the letter associated with the pentomino occupying each cell in the marked row from left to right and then in the marked column from top to bottom, separating the groups with a comma. 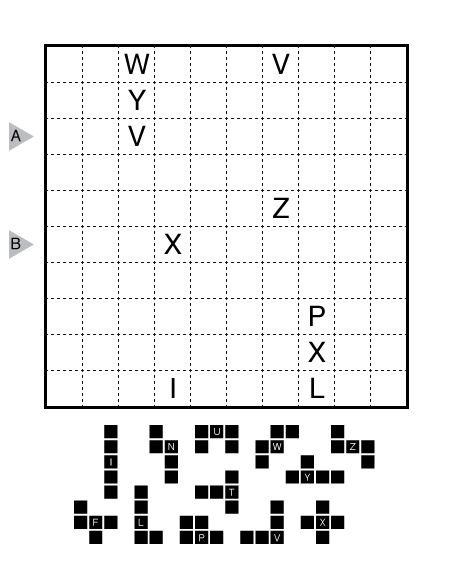 Use CAPITAL LETTERS!